We've made it super easy to record your manual sales using an "admin" version of the same store your parents and faculty use online. This ensures that all sales are tracked to your products. These can be recorded for checks and cash or for entering sales taken via onsite when you use a credit card swiping tool on your phone. 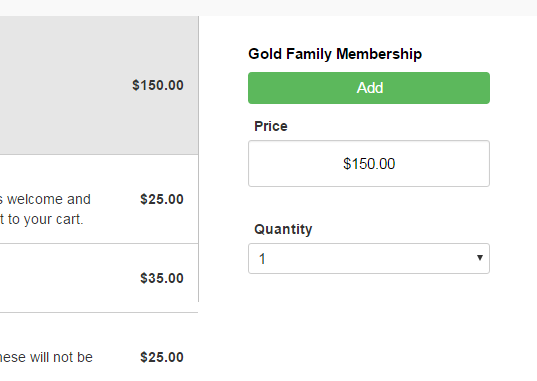 All manual sales will automatically update a families, parents or students membership status (just like the online store) and the sale will be recorded in the Sales log along with your online sales. The difference is that under Store / Review Sales, the word "manual" will appear along with the sales information. Select the family you'll be recording the sale for. 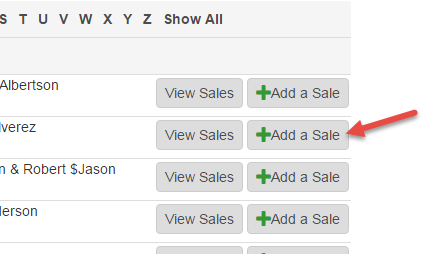 If the family isn't found, click the Add a family button to add and then automatically return to add their sale. 3. Select the products they purchased and click Add. Continue to add additional products if they necessary. Adding will build a list that you can review and edit on the payment page. 4. Click the RED Review and Save Sale button at the top. You'll be taken to the next page to record payment. 5. Record payment information. 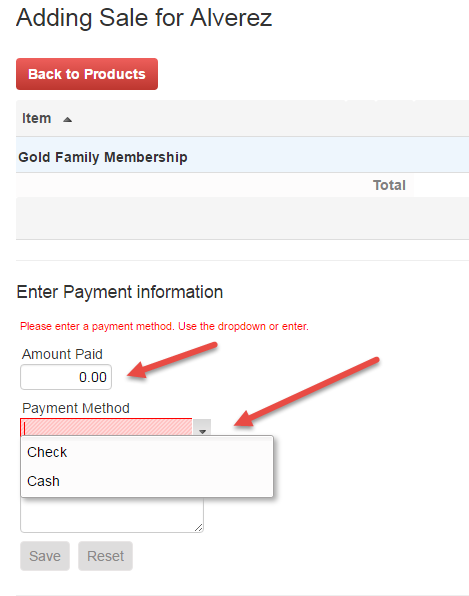 Enter the total amount given and the payment method. The default is Check or Cash but you can put in any text you wish. SAVE.